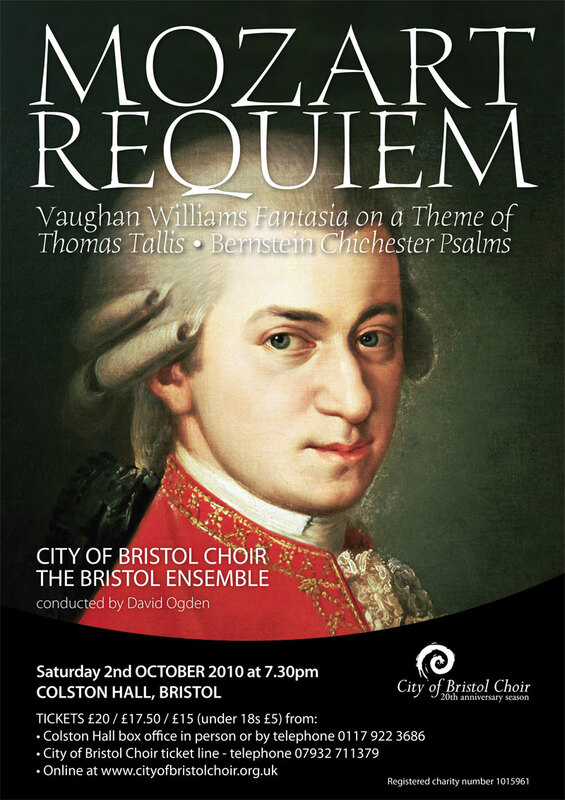 City of Bristol Choir launches its 20th anniversary season with a performance of Mozart’s Requiem, Bernstein’s Chichester Psalms and Vaughan Williams’ Fantasia on a Theme of Thomas Tallis in a collaboration with the professional orchestra, The Bristol Ensemble, on Saturday 2nd October 2010 in the Colston Hall. 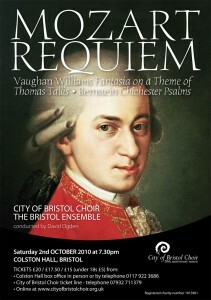 Tickets are priced from £15 – £20 (£5 for under 18s) and are available from the Colston Hall box office on 0117 922 3686 or online at www.cityofbristolchoir.org.uk. The season will include performances of Duruflé’s Requiem, Bach’s Mass in B minor and Monteverdi’s Vespers of 1610 with His Majesty’s Sagbutts and Cornetts.